While Applications Manager helps you keep all your apps and servers in check for any unexpected anomalies and alarms, ServiceDesk Plus gets your technicians instantly on an issue and brings down the mean time to resolve an issue. Let ITOM and ITSM collaborate and help you achieve more from your organization with this integration. The seamless two-way integration of ServiceDesk Plus with Applications Manager provides a visual map of your entire IT infrastructure & applications, by automatically discovering all the IT components in the configuration management database (CMDB) of ServiceDesk Plus and then creating dependencies amongst them in Applications Manager. Track all the configuration items (CIs) in your IT infrastructure, map relationships and predict the impact of CIs on your business, if any modification is made. Automate the process of categorizing, prioritizing, and assigning tickets to technicians in ServiceDesk Plus from within Applications Manager. Create a ticket, track the change in status of the ticket, and all its updates until it is finally resolved. In Applications Manager, when a predefined condition for a particular monitor violates its threshold value, an alarm is instantly generated and consequently a configured action is executed. See it instantly get lodged as a ticket in ServiceDesk Plus and let your technicians take it from there! Automated workflow to achieve more, faster. With everything automated, forget about tracking your tickets manually all the time. Ensure no ticket is unattended. Ever. Create new/ reopen a ticket when an alarm is raised for a previously closed ticket. 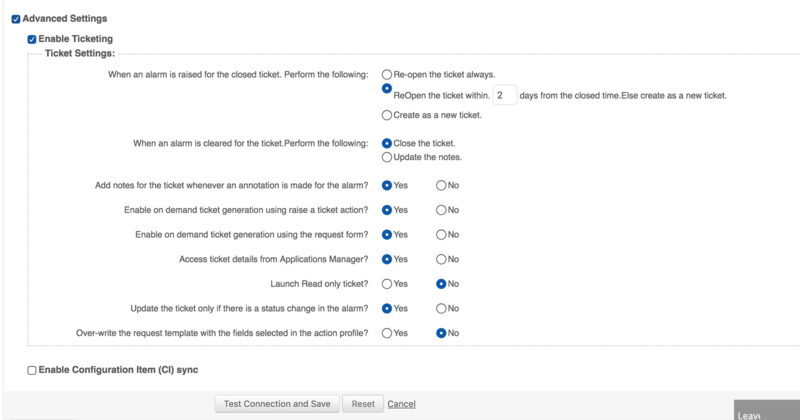 Close ticket/ update notes in ServiceDesk Plus when an alarm is cleared. Update a ticket when there is a status change in alarms. 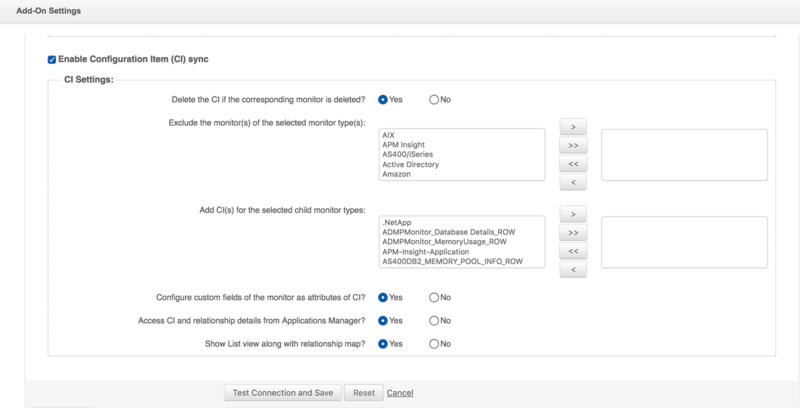 View request details from the Applications Manager console. Integrate with ServiceDesk Plus On-Demand and ServiceDesk Plus MSP too. 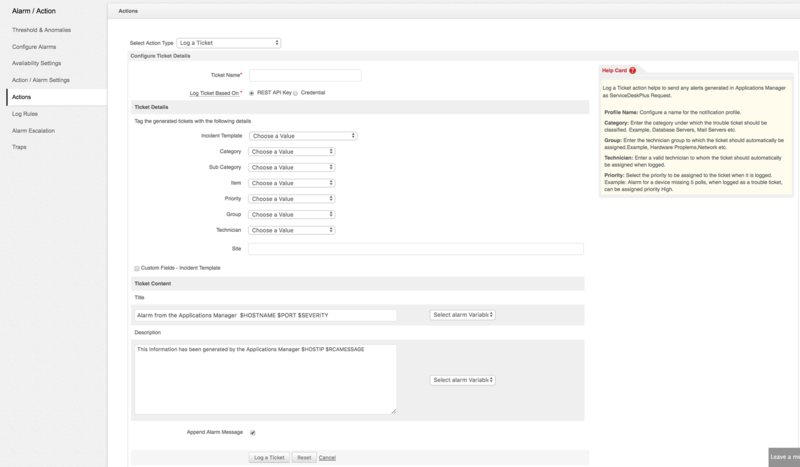 ManageEngine ServiceDesk Plus (SDP) On-Demand is an online help desk software built on the ITIL framework with integrated asset management capability. ServiceDesk Plus MSP is a web based, ITIL-ready help desk software designed specifically for managed service providers. Cloud, on-premises or MSP, integrate your SDP deployments with Applications Manager today and resolve your IT performance issues effectively with quicker updates and better tracking. Let your APM personnel collaborate with your HelpDesk professionals to deliver better, faster and uninterrupted services to users. Register here and let our experts walk you through the complete capabilities of the APM-SDP integration, at your convenient time.